Updated 12-30-2018 --- Version 5 has the bug fixed which was preventing publishing cook books or skill books. As always, be sure to remove any old version of the mod when you update! 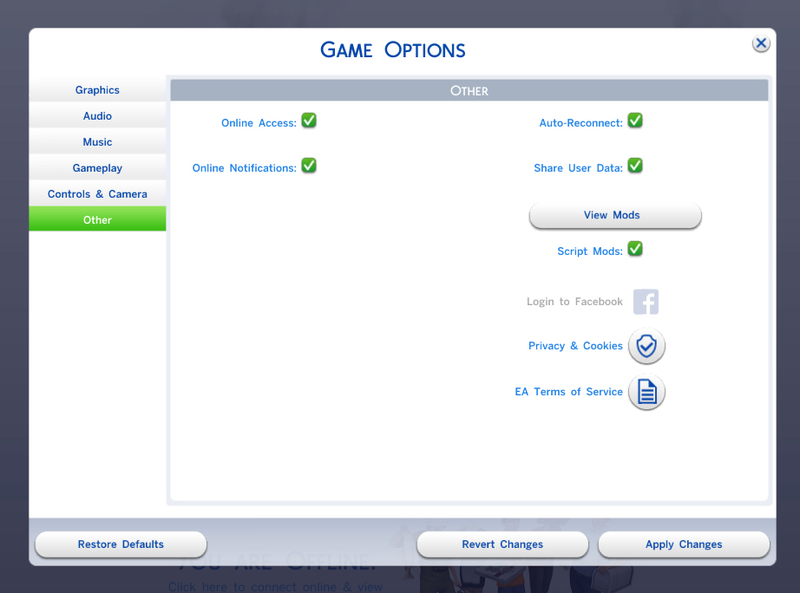 This mod for The Sims 4 will make a sim keep a copy of a book after the book is published. 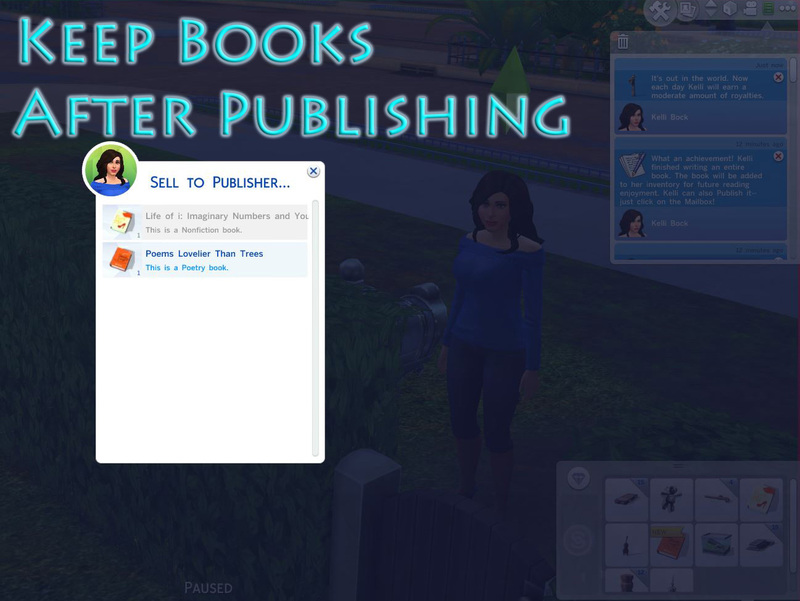 Self-written books in the sim's inventory which have already been submitted to a publisher or the literary digest cannot be republished and will be grayed out. This mod may cause conflicts with other mods which change the book publishing actions. Due to the wide variety of mods and sources for them, it is unlikely I will be able to help you with such a conflict. If there is a conflict, either one or both mods may fail to work properly. This mod requires The Sims 4 to be patched to at least version 1.48.94 (December 20, 2018). This may be of interest if you are experiencing a conflict and know how to debug such issues, or if you are creating another mod which changes book publishing actions and wish to incorporate these changes to eliminate conflicts. If you do create another mod using these changes, I would appreciate receiving credit. Use one mod version appropriate for your game's patch level.